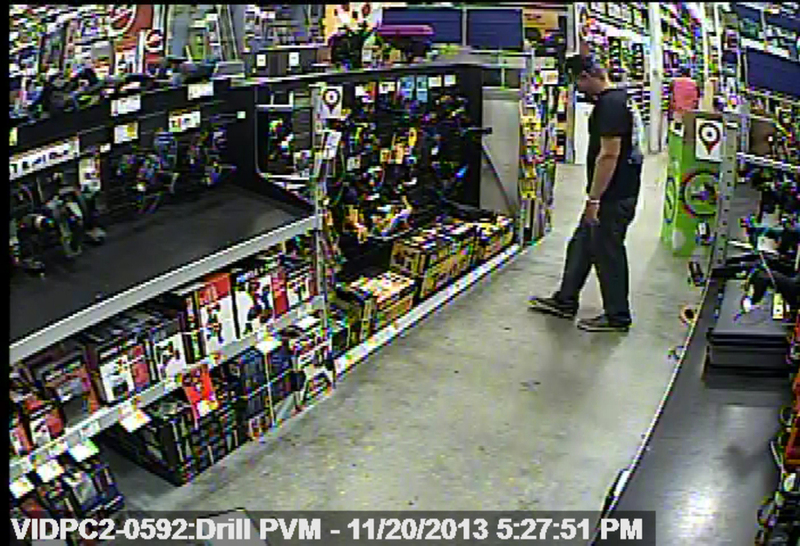 (December 5, 2013)- Cape Coral Police Detectives need your help identifying a retail theft suspect. According to Lowe’s Loss Prevention Manager, on November 20, 2013 at approximately 5:26 PM, an unknown white male stole a 5-Piece DeWalt tool kit valued at $579.00 from the Lowe's located at 1651 NE Pine Island road, Cape Coral, FL. He was wearing a black ball cap, "boat" shoes, dark colored blue jeans, and a black "Salt Life" t-shirt with white lettering on the back. The male had blond hair and was fair-skinned. The male entered the store without a cart, but exited the store and returned moments later with a red Lowe`s shopping cart. At 5:28 PM, the male selected the item and immediately placed it into his empty shopping cart. He then passed all remaining points of sale without offering payment for the item and exited the store while an EAS Alarm sounded. Please take a look at the photo gallery above. If you have any information on the identity of the suspect, please contact the Cape Coral Police Department at 239-574-3223. You can also submit an anonymous tip. Go to www.capecops.com/tips or text a tip- text CCPD+"Your Message" to CRIMES (274637). Finally, you can call Crimestoppers at 1-800-780-TIPS.